Gallery 212 posse in full-effect! From left to right: Diyana U. 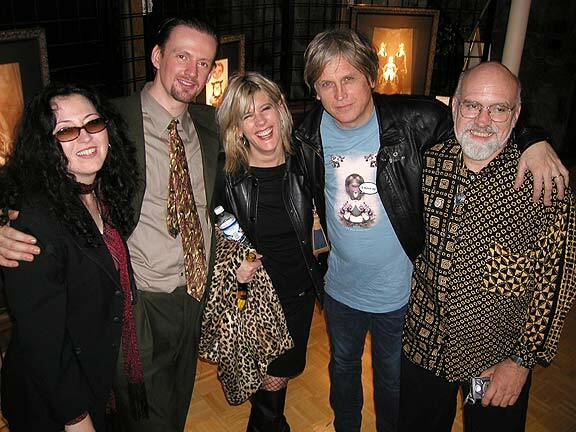 (co-creator of Gallery 212), Kit Eagel (executive director and co-creator of Gallery 212), Carolyn Striho (Detroit rocker), Freddie Striho (Carolyn's manager/husband, and Ollie Carter (long-time supporter and member of Gallery 212).